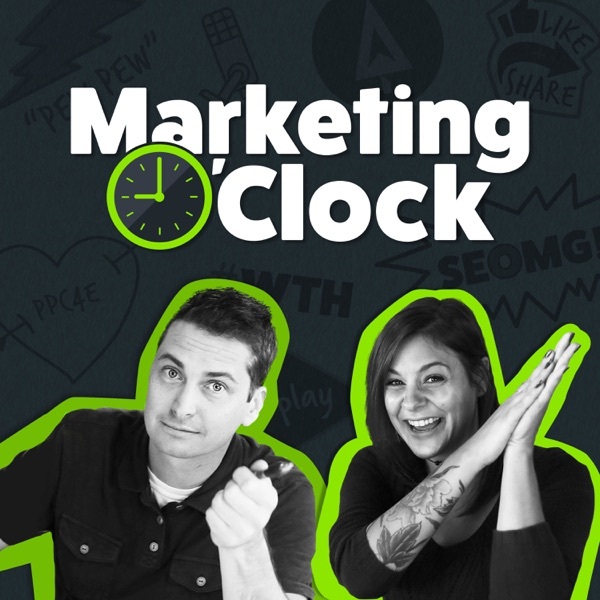 Marketing O'Clock | Listen Free on Castbox. Marketing O'Clock is the premier digital marketing podcast that covers the latest trends and advancements in online marketing, email marketing, SEO, PPC, and social media every Friday. On Tuesday's, Marketing O'Clock alternates interviews leaders in digital marketing in the series, "Off The Clock" with a "Ripped From The Headlines" series that does a deep dive from a previous Marketing OClock show. In this week's digital marketing news, Facebook users get a backstage pass to how ads are targeting them, call-to-action buttons are added to Bing ads, Snapchat turns into a Bitmoji gaming system, Greg orders 40,000 cucumbers from our local Walmart, and apparently whispering into a microphone is important for your brand...Read the full show notes at https://marketingoclock.com/facebook-ad-library-ep-64/. Kyle Pucko first got a taste for hard work at the age of 14 when he was hired to pick strawberries in his hometown. Those valuable lessons would stay with him all throughout college where his digital marketing career began to take form. From working as a tour guide and college admissions counselor, Kyle soon found himself running the digital marketing department at his school. Since then, Kyle has taken it upon himself to find the best and easiest solution for common everyday digital marketing problems.Kyle Pucko is currently the co-founder of GeoFli, a digital marketing agency that focuses on easily changing website content based on the users location.Read the full show notes at https://marketingoclock.com/off-the-clock-kyle-pucko/. Beginning as an engineer, Eric Enge slowly found his way into the world of SEO. Learning from his family of university professors, Eric developed an edge in the engineering industry which eventually led to his future career in marketing. But Eric's most notable award will always be winning the 1985 foosball world championship (Greg's dream).Eric Enge is a US Search Personality of the Year winner, Landy Awards: Search Marketer of the Year winner, co-author of "The Art of SEO", founder of Next10x Digital Marketing Conference, former founder and CEO of Stone Temple, and currently a general manager of Perficient Digital. Eric is also a contributor to Forbes, Search Engine Land, Search Engine Watch, Copyblogger, Moz, Marketing Land, and Social Media Today.Listen to his digital marketing journey on this episode of Off The Clock. Read the full show notes at https://marketingoclock.com/off-the-clock-eric-enge/. We've got major news. Well, technically Facebook has major news. In a few short months, you will no longer be able to set budgets at the ad set level in Facebook Ads. Instead, Facebook's campaign budget optimization will become the default setting for all campaigns. Listen to this week’s Deep Dive as we unpack everything you need to know before this major September 2019 update.